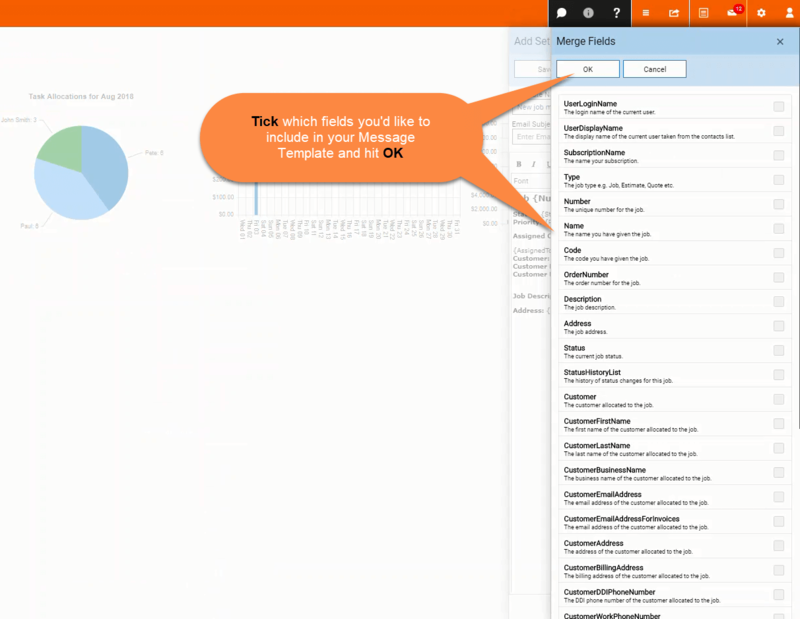 Message Templates – Welcome to the NextMinute support and feedback centre. Our messaging module combined with content template management means you also have the ability to create standard or default messages making communication consistent, includes key job information, typo free and drafted with the right tone for your business. 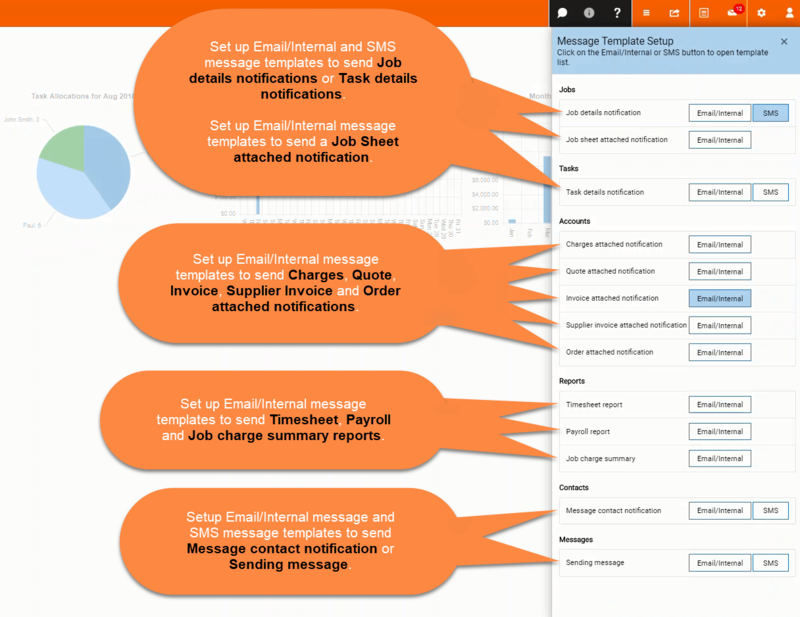 When creating new jobs or tasks you can select to Email, SMS or internal message this activity. Having the ability to notify your team via SMS when you assign work is helpful to ensure your team know when new jobs or re-assigned work comes into their job queue. You could also choose to message customers to keep them informed of job updates and information, providing a better customer service experience. You will also want to set up Templates for Email messages you send out with your Accounts documents. 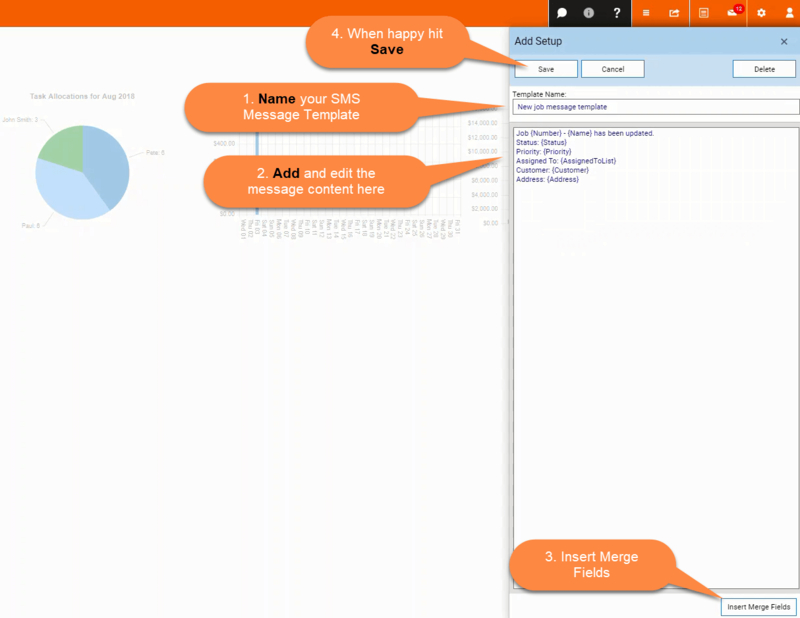 Click into Email/Internal and SMS for each area to set up your message templates. 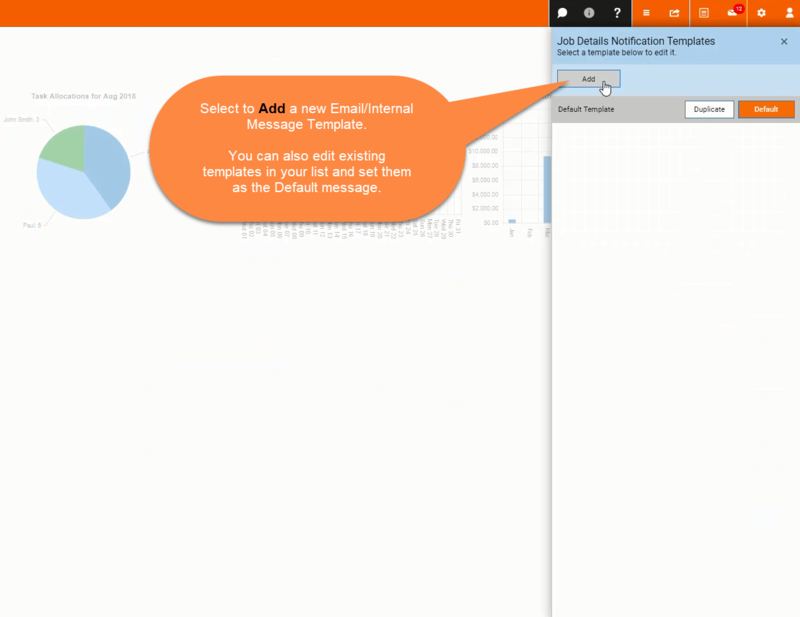 Select to Add a new Email/Internal message, you can also edit exisiting templates and set them as defaults in this screen. 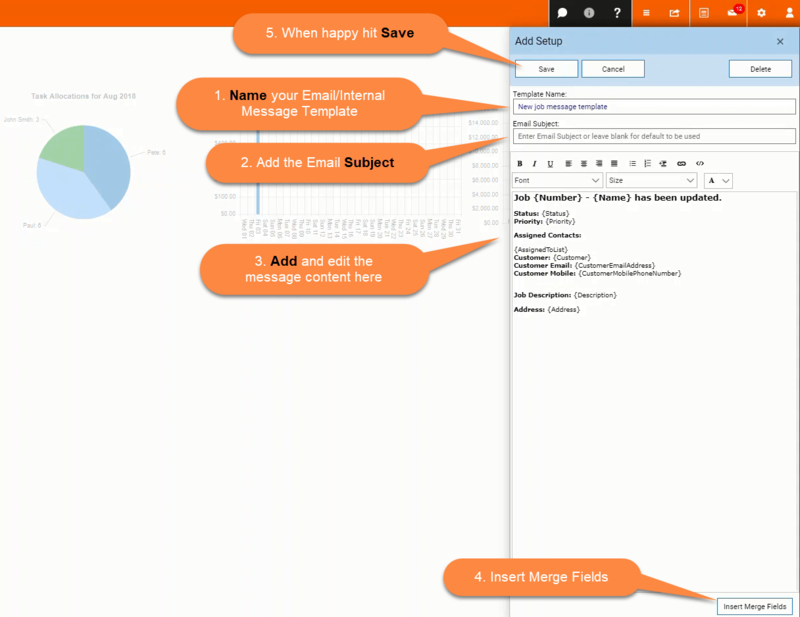 Add a Template Name, Email Subject, Message content, include Merge Fields and Save. Select the Fields you would like to merge into your message content and hit OK.
After selecting to Add a new SMS template, Add a Template Name, Message content, include Merge Fields and Save.